1. Prairie Ridge Shawl: Done with the first repeat section! I'm really happy with how this is moving along. I frogged a bit to deal with some weird color issues due to using weird odds and ends, but I'm back across the frog pond and making good progress. 2. Corazon: The cuff is done! About to change to larger needles and start the colorwork. 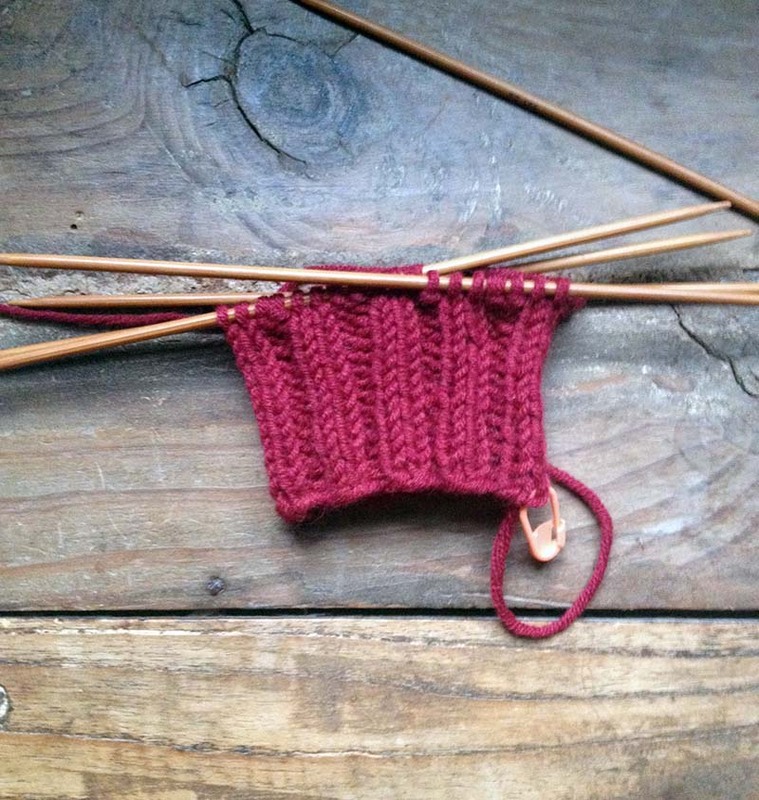 I'm helping Shokay run a knit-a-long for these mittens - join the ravelry group to participate! 3. Snowflower: This is a sample for a new pattern. With any luck, this mitten pattern will be out by the end of the month. Please keep your fingers crossed! 4. Super secret project - I'm preparing my first ever magazine submission, so this is all I can show you for now. Sorry for being a tease, but eventually, you'll get to see what I'm all excited about! The sweet notebook with the robins is by Nikki McClure.